Dietary supplements come in many forms, including tablets, capsules, powders, energy bars, and liquids. People use dietary supplements for a wide assortment of reasons. Some seek to compensate for diets, medical conditions, or eating habits that limit the intake of essential vitamins and nutrients. Other people look to them to boost energy or to get a good night's sleep. Dietary supplements are not intended to treat, diagnose, cure, or alleviate the effects of diseases. Using supplements improperly can be harmful. Some supplements can have unwanted effects before, during, or after surgery. Many dietary supplements have clean safety histories and do help to improve heath and wellness. For example millions of Americans responsibly consume multi-vitamins and experience no ill effects. 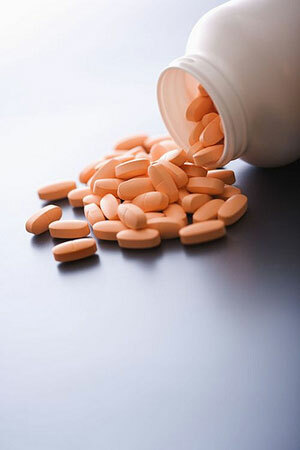 Other dietary supplements have been shown to be beneficial for certain health conditions. For example, the use of folic acid supplements by women of childbearing age who may become pregnant reduces the risk of some birth defects. Another example is the crystalline form of vitamin B12, which is beneficial in people over age 50 who often have a reduced ability to absorb naturally occurring vitamin B12. Ask how one of our providers can find out what supplements can help you.